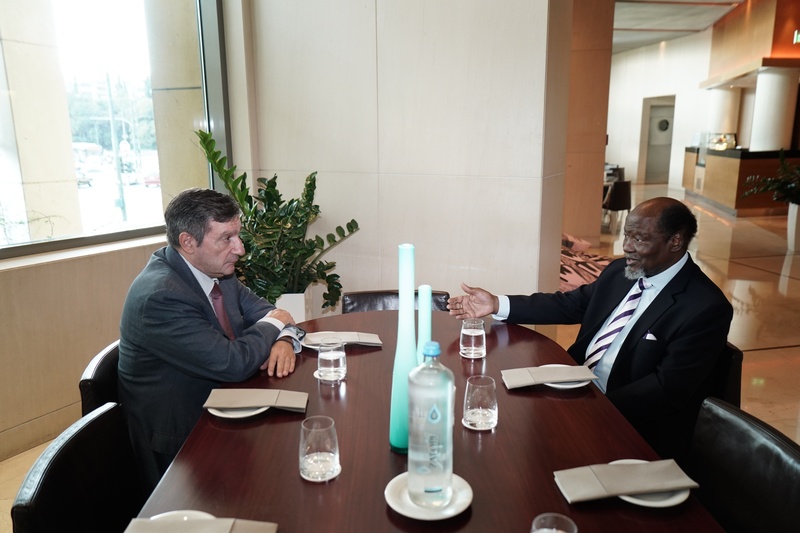 Mozambique President Joaquim Chissano and Athens Mayor Georgios Kaminis. 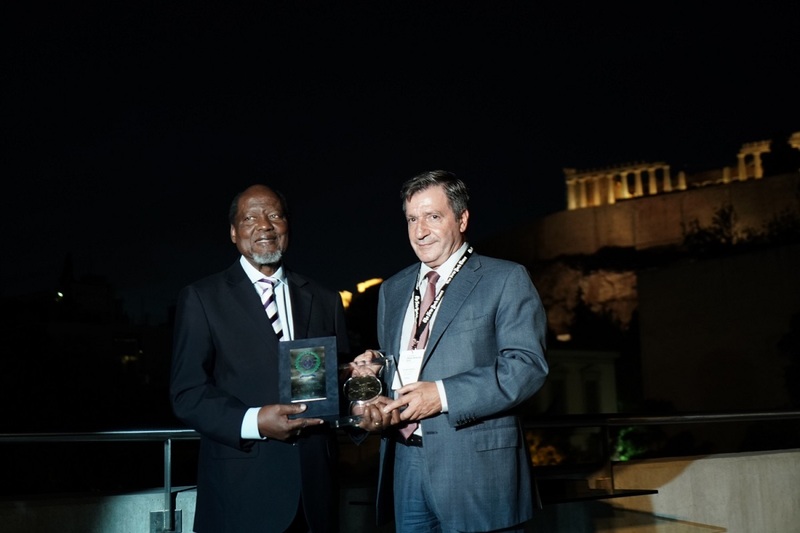 Joaquim Chissano, Mozambique’s second president, known for transforming the war-torn country into one of Africa’s most successful democracies, was bestowed with the 3rd City of Athens Democracy Award this week by Athens Mayor Georgios Kaminis. Chissano was selected for the acclaimed award in recognition of his efforts to end the 16-year Mozambican Civil War in 1992 and negotiate a peace treaty with the rebel forces that involved no prosecutions or punishments. The City of Athens Democracy Award, in its third consecutive year, recognizes prominent international figures that have played an instrumental role in securing democracy, freedom and civil rights for all and is awarded every year on the International Day of Democracy. The distinction is awarded within the New York Times Athens Democracy Forum held annually in the Greek capital in collaboration with the United Nations Development Program and Kathimerini daily. Speaking at the special event held at the Acropolis Museum, Kaminis stressed the importance of independent justice and freedom of speech as mechanisms that ensure the integrity of democratic states, while referring to the contemporary dangers that threaten them. Athens Mayor Georgios Kaminis and Mozambique President Joaquim Chissano. Today, Chissano campaigns for peace through his work as an envoy and peace negotiator for the United Nations, chairs the Joaquim Chissano Foundation and the Forum of Former African Heads of State and Government. Besides bringing peace, reconciliation, stable democracy and economic progress to Mozambique, and supporting LGBT rights in Africa, Chissano is said to have introduced transcendental meditation techniques to government officials, police and military. The first award went to the executive director of the Human Rights Watch, Kenneth Roth, in 2016, and the 2nd to the former prime minister of Spain, Felipe Gonzalez. Why the hesitance in that sentence: “Chissano is said to have introduced transcendental meditation techniques to government officials, police and military”? There’s no question that he did. In fact, if you ask him, he’ll give a lot of credit for receiving this award to just that project, as the “reduction of stress in national consciousness” effected by a “prevention wing” of advanced TM meditators was the basis on which other interventions could succeed. Fortunately, more and more leaders of society are open-minded and actively using this invaluable tool.